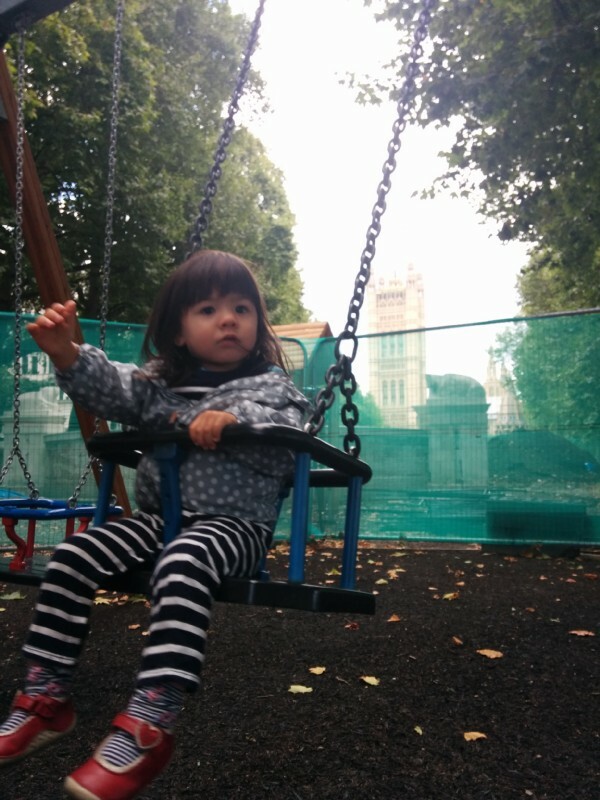 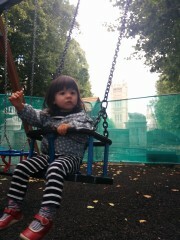 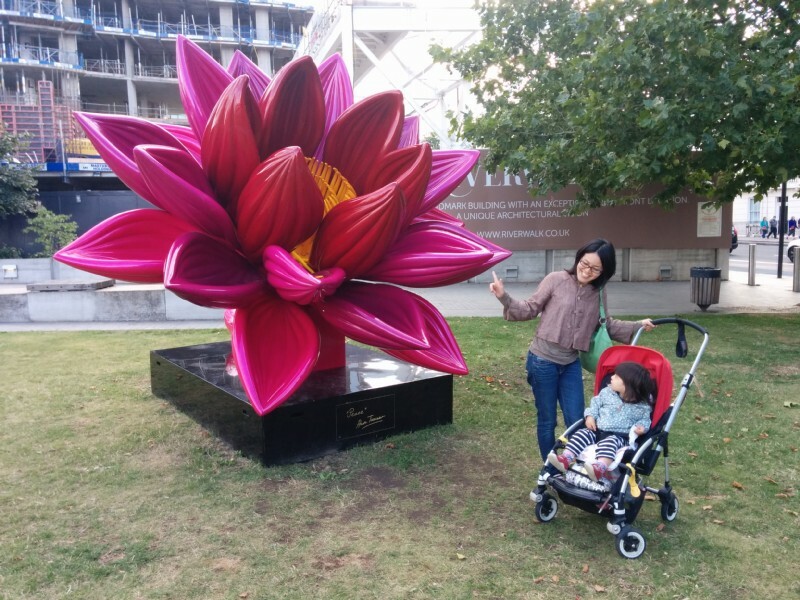 Took Erika to play in the park next to the Houses of Parliament which had (partially) reopened after a period of being closed for rebuilding. 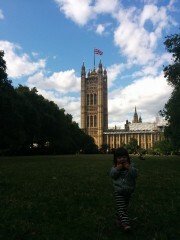 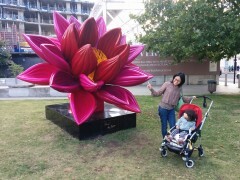 Erika with the houses of Parliament in the background. 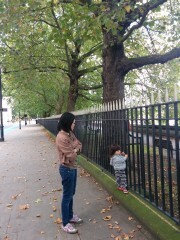 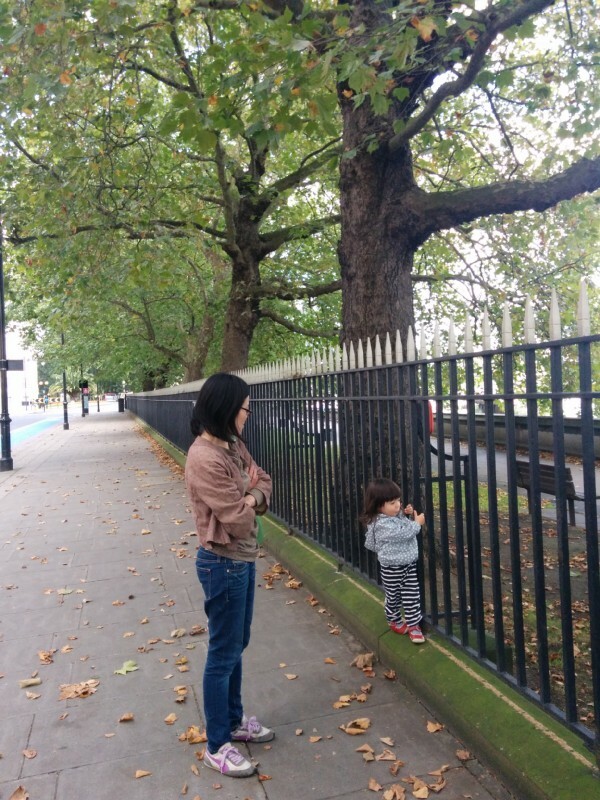 Erika determined to cling onto the railings.